Good Friday marked the one year anniversary of the tragic passing of young jockey Nathan Berry. Berry, 23 and twin brother of fellow jockey Tommy, was struck down with Norse Syndrome, an acute form of epilepsy. This Saturday night the Picton Magpies, playing in the CRL’s Group 6 competition will be honouring the memory of Nathan by wearing special commemorative jerseys when they host rivals the Camden Rams at Victoria Park in Picton. The club will also be raising money ‘4 Track 4 Kids’ – Nathan’s chosen charity. 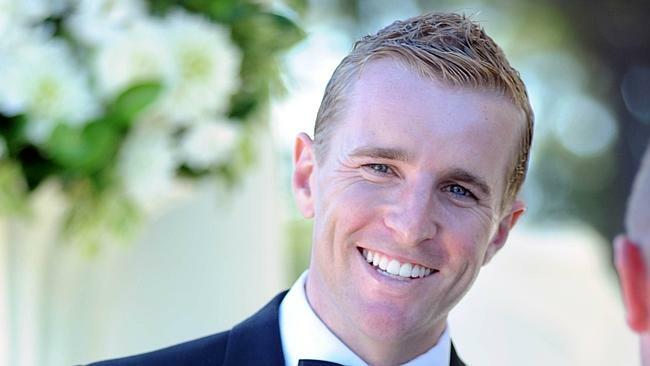 Picton player Ben Hierlehy is the cousin of the Berry’s and the driving force behind the Nathan Berry memorial round. “They’re a year older than me, Tom and Nath,” Hierlehy explained. “I’m an only child so they were closer to being brothers growing up. I was groomsman at Nathan’s wedding and I’ll be best man at Tommy’s wedding. Hierlehy went on to describe the good work that Berry’s chosen charity does for needy children. Hierlehy was quick to point out that the club was only too happy to give something back to the Berry family that had given so much for so long. The jerseys will keep the lessence of the Magpies club with a special Berry touch. “They have the black of Picton and they’ve got red and blue on them” said Hierlehy. Hierlehy said how the club will raise funds. There will also be raffles sold during all four games and money raised and donation jars at the bar and canteen. Picton club secretary Karl Klein said the club was proud to be involved. The Picton club are expecting a big crowd and hope that the punters will be glad to donate what they can to their worthy cause. The evening will coincide with the ten year reunion of Picton’s 2005 Grand Final victory over Camden, which will lend some extra spice to the top of the table clash between the Magpies and Rams. They have also organised comedians Matty B and Brad Austin to get the locals laughing and, with luck, emptying their wallets after the Players Player awards in the clubhouse. Anyone that is unable to attend but would like to contribute to this worthy charity, or is interested in registering for the walk, should go to www.4tracks4kids.com.au or follow them on Instagram.